There are rare times in our life when we come across objects that inspire a belief in magic. 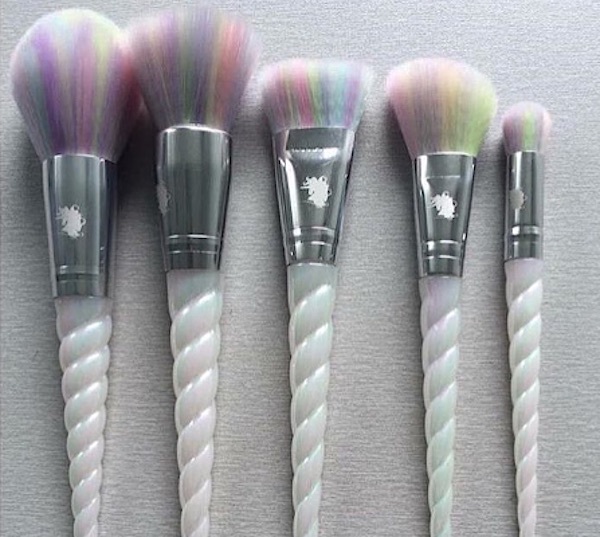 Such a moment was born when we discovered these absolutely enchanting unicorn makeup brushes that look like they came straight out of a fairytale! Unicorn Lashes UK, the brand that released these beauties into the world, is fully experienced at personifying whimsy through colorful products. Exactly how much fairy dust was used in the making of these brushes?! They look like they were crafted out of scoops of cotton candy! The newly-teased set will include three eyeshadow brushes, as well as brushes for foundation, contouring, powder, concealer, and eyebrow definer, all presented in a cute unicorn bag! I’m pretty sure if you stare at these brushes long enough a wizard will appear?! Or at least a friendly human being decked out in varying shades of pastel will appear and chat you up about puppies. So, you’re likely wondering, how can we get our hands on these brushes?! While they aren’t available for purchase just yet, you can get first in line by joining the mailing list on the Unicorn Lashes UK website! In the meantime, we’ll have to make due with eating unicorn ice-cream in anticipation.